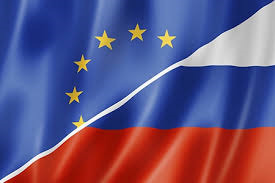 EXPLANATORY MEMORANDUM - The 'Agreement on cooperation in science and technology between the European Community and the Government of the Russian Federation' 1 ('the Agreement') was signed in Brussels on 16 November 2000 and entered into force on 10 May 2001. Since then and in accordance with its Article 12, the Agreement has been renewed three times in 2004 2 , 2009 3 and 2014 4 for an additional period of 5 years each time. The current Agreement is due to expire on 20 February 2019. It is in the interest of the EU to renew this Agreement in order to continue to facilitate cooperation with the Russian Federation in common S&T priority areas leading to benefits for both Parties. Russia is the most important Science, Technology & Innovation (STI) actor in the neighbourhood of the EU that is not associated to Horizon 2020. Cooperation in STI between the EU and Russia has traditionally been very active, notably in the fields of research infrastructures, transport and environment. However, while in FP7 Russia was the most active non-associated third-country participant, in Horizon 2020 the level of collaboration is far below its potential. To a large degree this is due to the change of funding rules in Horizon 2020, whereby legal entities from Russia (together with Brazil, India, China and Mexico) are not anymore automatically eligible for funding from the EU, but also to the political circumstances. Among all non-associated countries, Russia currently ranks 6th in terms of participations in collaborative projects of Horizon 2020. Moreover, the Horizon 2020 Work Programme 2018-2020 aims to intensify cooperation with Russia on topics of mutual interest and common benefit. In particular, apart from the general openness of Horizon 2020 to entities from all over the world including Russia, there are two major flagship bilateral cooperation initiatives with Russia, in research infrastructures and health, and one flagship multilateral cooperation initiative on aeronautics that targets also Russia. The renewal of the Agreement fits within the EU's approach based on the five guiding principles to manage the EU’s current relations with Russia, agreed upon at the EU Foreign Affairs Council on 14 March 2016 and confirmed at the EU Foreign Affairs Council on 16 April 2018. Science diplomacy can be a powerful tool in our relations with Russia as it provides a positive cooperation agenda and is a source of 'soft power' that can be particularly instrumental in catalysing and opening channels of communication and building trust between our societies. The Agreement provides a framework to enhance people-to-people contacts and STI cooperation in areas of EU strategic interest in the years to come, countering the trend of decreasing intensity of scientific collaboration between EU and Russian participants. For these reasons it is useful to renew the Agreement for the next five-year period.